The Lace Mill - Where Artists Live. 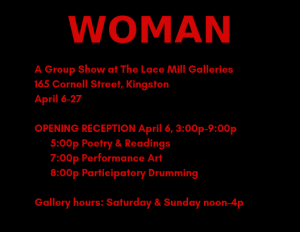 Media of all media by female artists from The Lace Mill and their friends and colleagues. 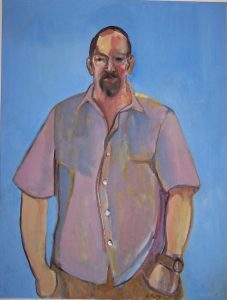 Ron DeNitto collection of portraits of local characters showing in The Lace Mill West Gallery, June 1 through 30, Saturdays and Sundays, noon to 5 p.m.
On-street parking on South Manor and Prospect Streets. For artist bio, click here. Artist reception for Ron DeNitto and a full collection of recent portraits of local characters in The Lace Mill West Gallery. First Saturday June 1, 5-9p.m. includes light refreshments. On-street parking on South Manor and Prospect Streets. Gallery is open Saturday and Sundays, all month, noon to 5 p.m.
Show run June 1 through 30.